Earlier this year I casually mentioned to husband how it would be easier to bake more often if I had a KitchenAid mixer. He agreed so I immediately ordered one for myself. Couldn’t hesitate on that one! It took me a few months to get used to mixing with this new machine but now I rely on it regular to quickly put together recipes. 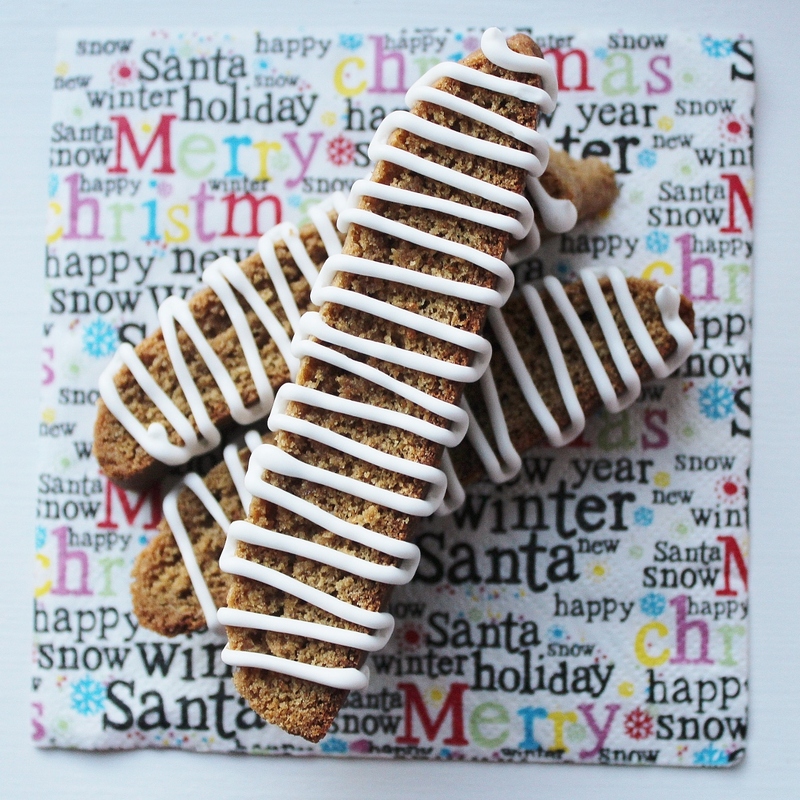 This is the fifth biscotti recipe that I’ve posted and it has become the favorite at home. The kids love the aroma while these are baking. Interestingly, I brought a plate of cookies to work and included some of these cookies and they were the only ones left on the plate. My theory is that people generally expect biscotti to be dry and hard so they favored the beautiful sugar cookies that were also there. 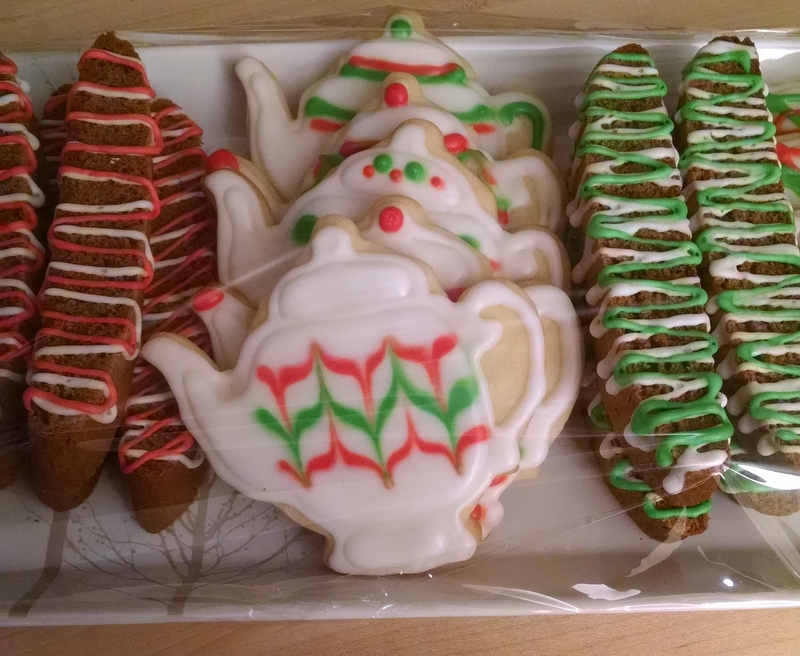 I will admit those sugar cookies are hard to resist but I love to enjoy one of the gingerbread biscotti with a hot cup of tea. Preheat oven to 350° F. Add dry ingredients to wet ingredients gradually until a soft dough develops. On a lined baking sheet form two flattened logs of dough about 3-inches wide and 1-inch high. Bake for 25 minutes. Remove from oven, reduce heat to 300° F. Allow logs to cool for about 5 minutes then slice across each in a diagonal about 3/4-inch wide. Bake slices flat on the baking sheet at 300° F for 8 minutes. 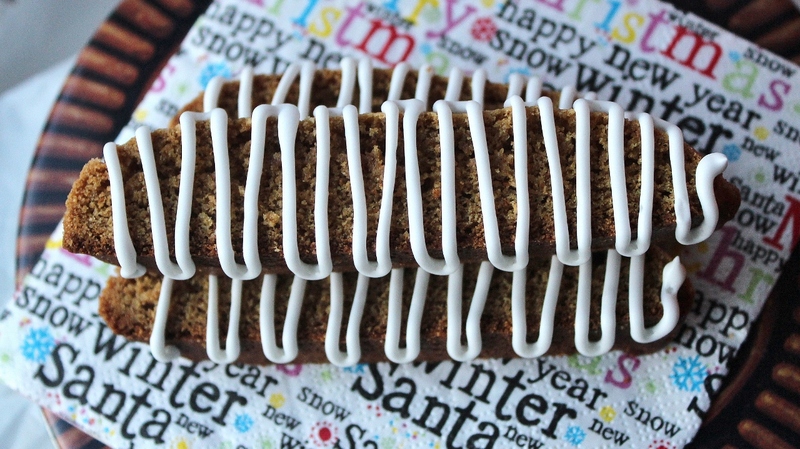 Drizzle with royal icing once completely cooled.